8-Piece Non-Stick Ceramic Cookware Set Just $25! Down From $90! 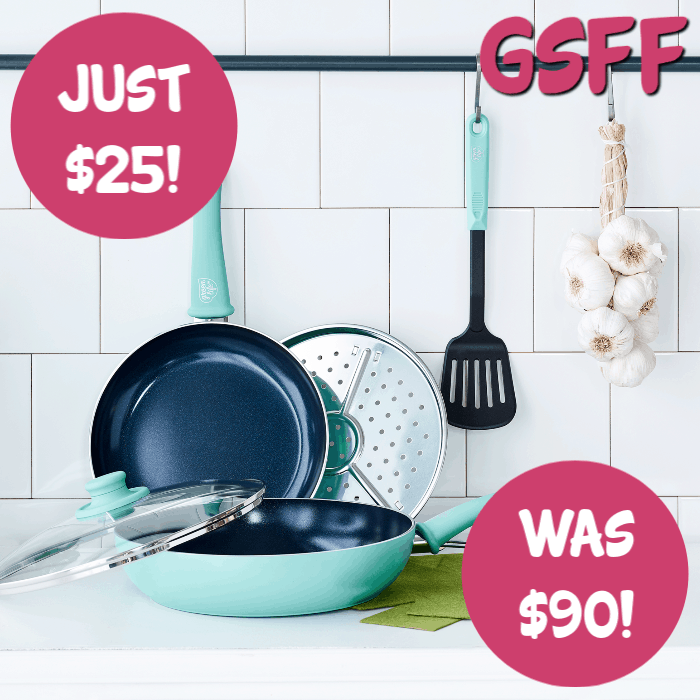 GreenLife Diamond 8-Piece Ceramic Non-Stick Cookware Set Just $25! Down From $90! Head over to Walmart and get this GreenLife Diamond 8-Piece Ceramic Non-Stick Cookware Set for just $24.99, down from $89.99, plus FREE Store Pickup or FREE Shipping on orders $35 and above! The GreenLife Diamond 8-Piece Ceramic Non-Stick Cookware Set makes the perfect addition to any kitchen. The high-performance diamond infused ceramic non-stick coating is long lasting, metal utensil safe and easy to clean, made without PFAS, PFOA, lead or cadmium. The turquoise aluminum reinforced body adds a touch of style to your kitchen, while the matching soft-grip handles provide much-needed comfort. Set includes a 9.5-inch open frypan, an 11-inch deep covered frypan, a stainless steel steamer plate, a nylon slotted turner, a mesh skimmer, a small protective sheet, and a medium protective sheet. Cuisinart 12-Piece Cookware Set Just $199.43! Down From $670! PLUS FREE Shipping! Don’t miss your chance! Amazon offers this Cuisinart Multiclad Pro Stainless Steel 12-Piece Cookware Set for only $199.43, when you apply the extra $6.36 discount coupon located below the price, down from $670.00 PLUS FREE shipping! Elegant and contemporary, the Cuisinart Multiclad Pro Stainless Steel 12-Piece Cookware Set consists of deluxe cookware for the professional home chef. 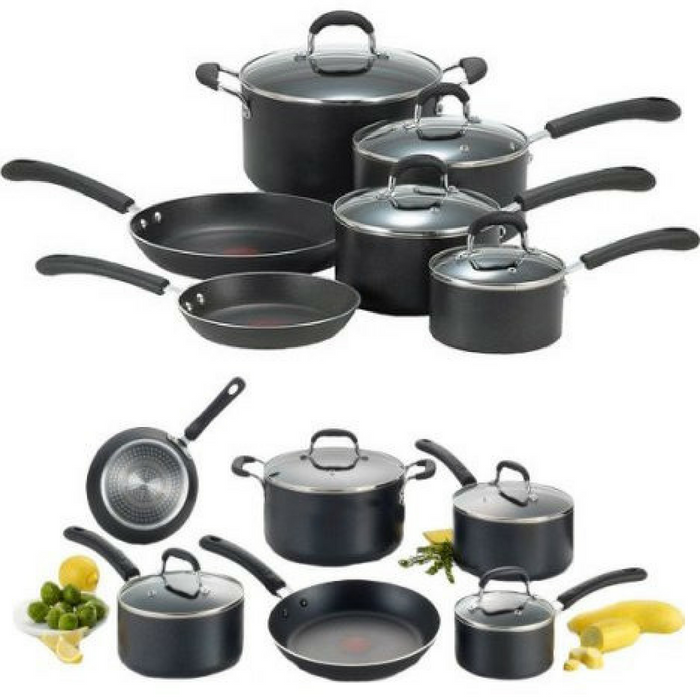 This twelve piece set includes a 1.5qt Saucepan w/cover, 3qt Saucepan w/cover, 3.5qt Saute Pan w/helper handle and cover, 8qt Stockpot w/cover, 8″ Skillet, 10″ Skillet, and 20cm Steamer Insert w/cover. Heat Surround technology provides a quick response to change in temperature, creating the perfect surface for cooking a variety of dishes and meals. 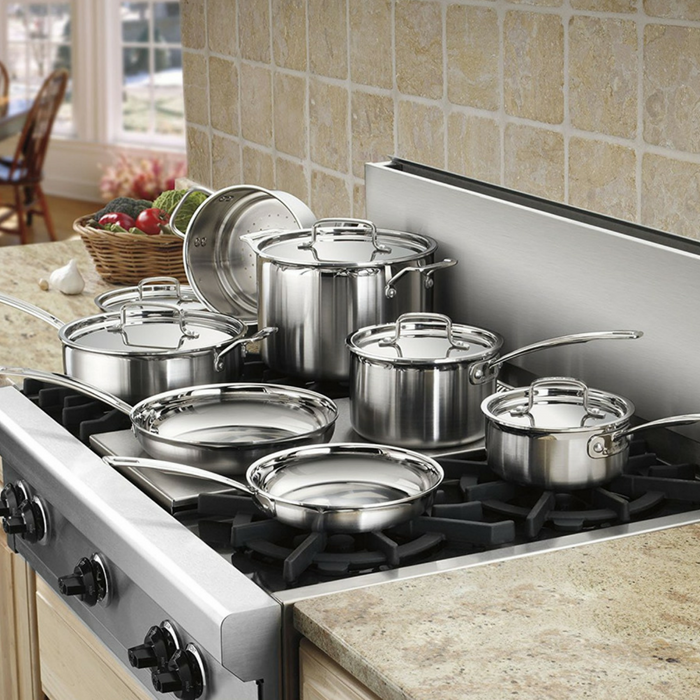 Stainless steel handles are riveted to provide a lifetime of perfect balance and ultimate control! The set consists of: 1-1/2- and 3-quart covered saucepans; 8- and 10-inch open skillets; 3-1/2-quart covered saute pan; 8-quart covered stockpot; steamer insert with lid. 12 pieces total.